The World Health Organization estimated that in 2012 there were 35.3 million people worldwide living with HIV. A whopping 69 percent of them live in sub-Saharan Africa. Save the Children reports that 2 out of 5 children born in developing countries are the result of unintended pregnancies. Condoms remain the gold standard for protection against HIV transmission. But not all women are able to negotiate condom use. The same can be said for contraceptives. 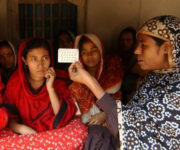 Health-care providers in some areas of the world are not even able to provide condoms consistently due to political or financial pressures. 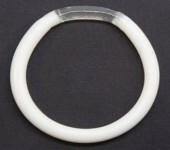 An intravaginal ring under development might protect against pregnancy, HIV, and genital herpes.